Knowing how to engage in signature scientific acts, such as formulating questions and using evidence in arguments is an important part of science learning. This InfoBrief from the National Center for Technology Innovation offers more information about using technology to support struggling students. Research has shown that the most meaningful learning happens when students are engaged in authentic activities that ask them to think and behave like chemists, computer programmers, mathematicians, engineers or archeologists — that is, when they are engaged in activities that mirror the real-life tasks of STEM professionals. [i] These activities might include the use of virtual environments and simulations, developing models of scientific phenomena, and using collaborative tools like email, video conferencing, and classroom wikis. These types of activities can present new challenges for struggling students and students with disabilities. In this series of science info briefs, Using Technology to Support Struggling Students in Science, we'll examine five different dimensions of science learning, the areas that may be challenging for struggling students, and how technology tools may help. In classrooms stressing questions, argumentation, and uses of evidence, students develop original questions and theories, and share them with their classmates. In these classrooms, students take on the role of critic and defender of positions, rather than learning about scientific principles through teacher lecture, or textbook reading. These activities may encourage students to become more actively involved in their science learning, allowing them to discover well-established principles for themselves. Struggling students may find this process challenging, because it requires being able to abstract their own opinions and beliefs from the evidence, comment on the relationship between the evidence and the claims, and use sophisticated and specific language. Constructivist tools allow students to build their own knowledge structures. They allow students to make predictions and test their hypotheses. Through these activities, students have a structure to engage in the process of being scientists. Computer-based collaborative learning tools vary widely, but most function as a common space or forum for users to share ideas. They often resemble Internet bulletin boards or wikis. For example, students may have access to space to post notes, view peer comments, share new ideas, respond to the suggestions of others, link to new information or question a peer's assumptions. As the discussions take place, all users can see the progression of ideas. Data, images, and video clips are saved so that students can return to the discussion and share knowledge. Teachers can use both freely available collaborative programs (Google Docs, wikis, etc.) and purchased programs to create a collaborative learning space for their students. Use the Internet for web-quests and other ways to allow students to develop and research questions about the subjects they are studying. Seek out inquiry-based technology curricula that support students' development of questions and use of problem-based learning. Show students how they can construct a scientific argument using evidence, and explain that this process is probably similar to the ways they argue for who is the better artist, sports hero or media star. Use visualization tools, including concept mapping, to develop both interrelated questions and question-boards and structured science arguments that have the main features of a claim, evidence and reasoning. Search the TechMatrix for tools that support science education and that have authentic project-based and constructivist features. This interactive visualization and simulation software for middle and high school science features many different activities and simulations linked to national science standards. 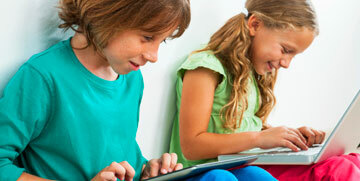 It also features virtual labs, simulations, quizzes, built-in glossaries, lesson plans and other classroom materials. The JASON Mission Center is the online repository of related educational content associated with the JASON Project. Students can make use of online games, simulations, virtual labs, and other multimedia resources; teachers can access curriculum materials, and purchase curriculum units for 5th through 8th grade students. This musical project headed by John Boswell, is designed to deliver scientific knowledge and philosophy in musical form. Here you can watch music videos, download songs, read lyrics and find links relating to the messages conveyed by the music. Browse previously answered questions, or submit a question of your own in the areas of human biology, animals, medicine, biochemistry, microbiology, genetics or evolution. Students can build questioning and inquiry skills by submitting their own questions. Engage students in learning and applying core science content to solve realistic problems. With this collection of three peer-assisted learning programs, scientists guide students as they gather and analyze data, and work in teams to complete missions. Through animated trials, Science Court directly challenges common misconceptions in earth, life, and physical science topics. Students critically examine the facts, articulate their understanding in multiple ways, and perform hands-on experiments to predict the trial decisions and final verdict. [ii] Duschl, R., & Osborne, J. (2002). Supporting and promoting argumentation discourse. Studies in Science Education, 38, 39-72.; Krajcik, J., & Blumenfeld, P. (2006). Project-based learning. In K. Sawyer (Ed. ), Cambridge handbook of the learning sciences. New York: Cambridge University Press. ; Marx, R. W., Blumenfeld, P. C., Krajcik, J. S., Blunk, M., Crawford, B., Kelly, B., & Meyer, K. (1994). Enacting project-based science: Experiences of four middle grade teachers. The Elementary School Journal, 94(5), 517-538.; White, B., & Frederiksen, J. (1998). Inquiry, modeling, and metacognition: Making science accessible to all students. Cognition and Instruction, 16(1), 3-118. Standards and Student Testing. ; McNeill, K., & Krajcik, J. (2008). Scientific explanations: Characterizing and evaluating the effects of teachers' instructional practices on student learning. Journal of Research in Science Teaching, 45(1), 53-78. [iv] Lajoie, S. P., Lavigne, N. C., Guerrera, C., & Munsie, S. D. (2001). Constructing knowledge in the context of BioWorld. Instructional Science, 29, 155-186. [v] Toulmin, S. (2003). The uses of argument. Cambridge, England: Cambridge University Press. [vi] Quintana, C., Reiser, B., Davis, E., Krajcik, J., Fretz, E., Duncan, R., et al. (2004). A scaffolding design framework for software to support science inquiry. Journal of the Learning Sciences, 13(3), 337-386.